I grew up with three brothers, all of whom were a good few years older than me. One of them was particularly good at spending any money he earned on the latest video game, so playing video games was a big part of my childhood. In particular I was a sucker for football, tennis and fight games. A few years ago Mr. FFID bought a Playstation in R.A.G.E, the vintage record and video game shop on Fade Street and we often enjoy kicking each other's virtual butts at Mortal Kombat or Street Fighter from the comfort of our living room. We're eternal children, what can I say? 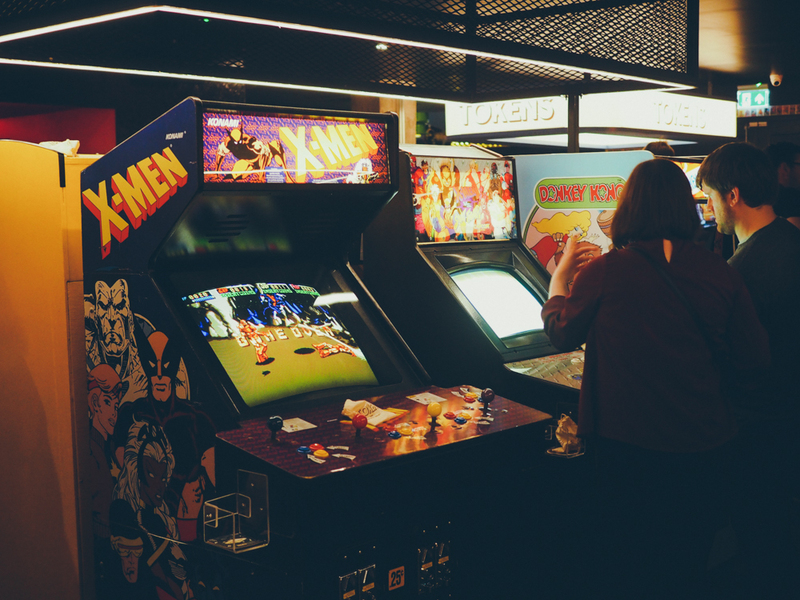 So as you can guess, I was so excited when I heard that the guy behind R.A.G.E opened a retro arcade/restaurant in the middle of Smithfield a few weeks ago. While I try not to rush to new restaurants, the kid inside me wanted to check out the games so Mr. FFID and I booked a table through their Twitter via Opentable. You can't see much from outside as the facade is painted dark grey and the metal shutters are closed, but the 'Token' logo manages to catch the attention when you pass by. 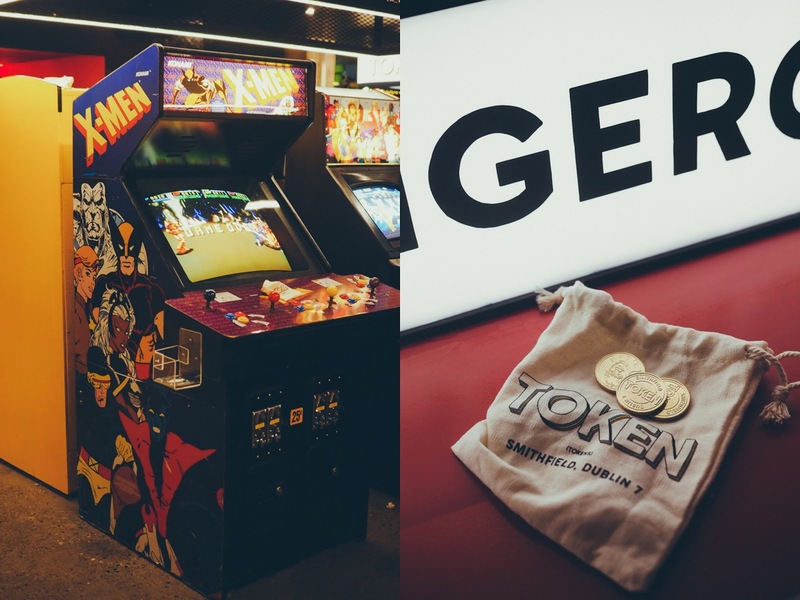 Once I stepped into 'Token' I had the weird feeling of having landed somewhere between a games arcade in Tokyo and a hipster eatery in Portland, filled to the brim with bearded Irish lads. 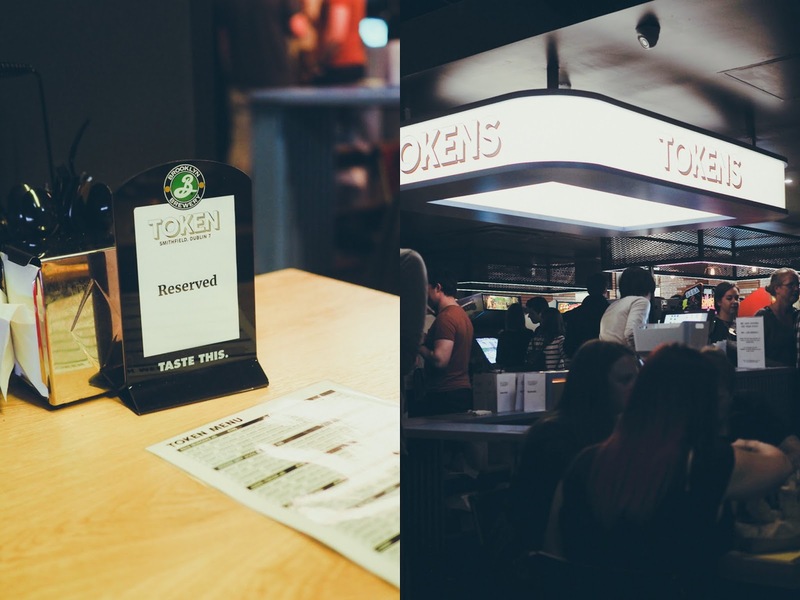 The decor of Token is cool and industrial and makes you feel like you are in a clandestine warehouse. 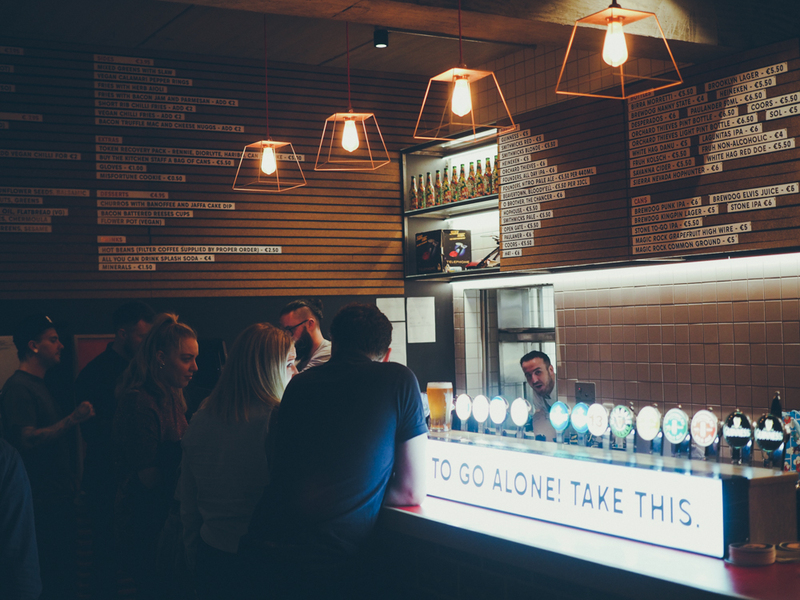 The wall behind the bar is covered with little black and white signs with the food and drink menu on them. They have a decent number of taps of craft and non craft beers, and a great selection of cans. 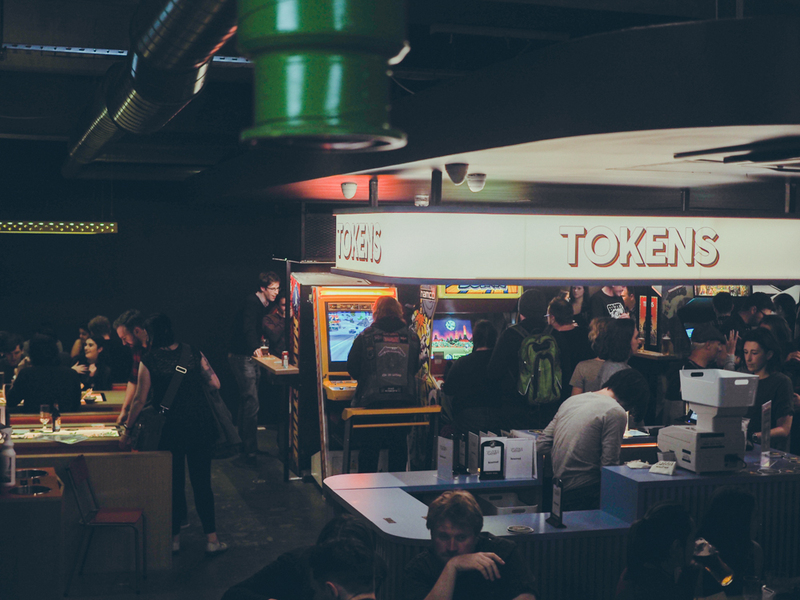 In the middle of the room there are rows of retro arcade games ranging from Mario Cart to Tetris, from Point Blank to the Teenage Mutant Turtles and many more classics. But don't forget it's a restaurant after all. You'll find the tables toward the opposite wall to the bar and there's also another room in the basement which I haven't visited. Our table was in the corner close to the 'Fight Zone' which I was already looking forward to try out. 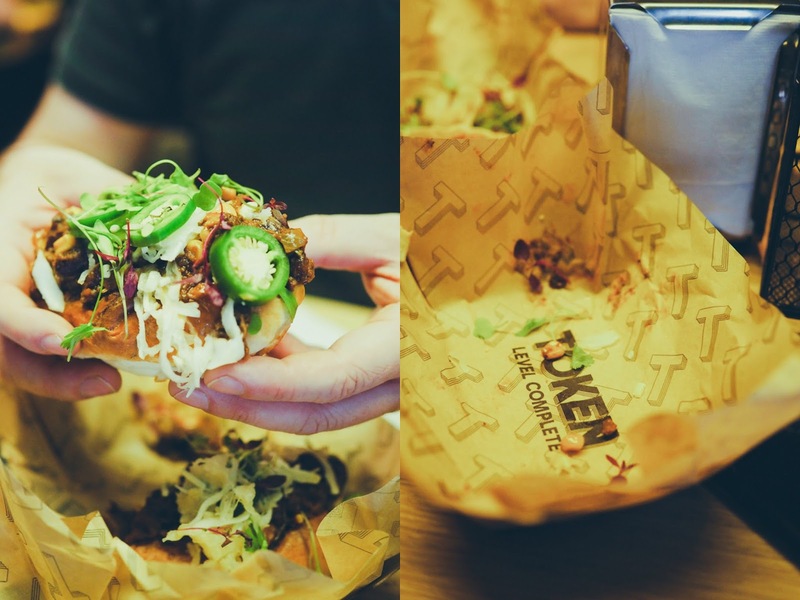 The menu at Token is divided into 7 parts: burgers, hot dogs, tacos (all three come in pairs and are priced at €7.95), tenders (€7.95), salads (€9.95), sides (€3.95) and desserts (€4.95). 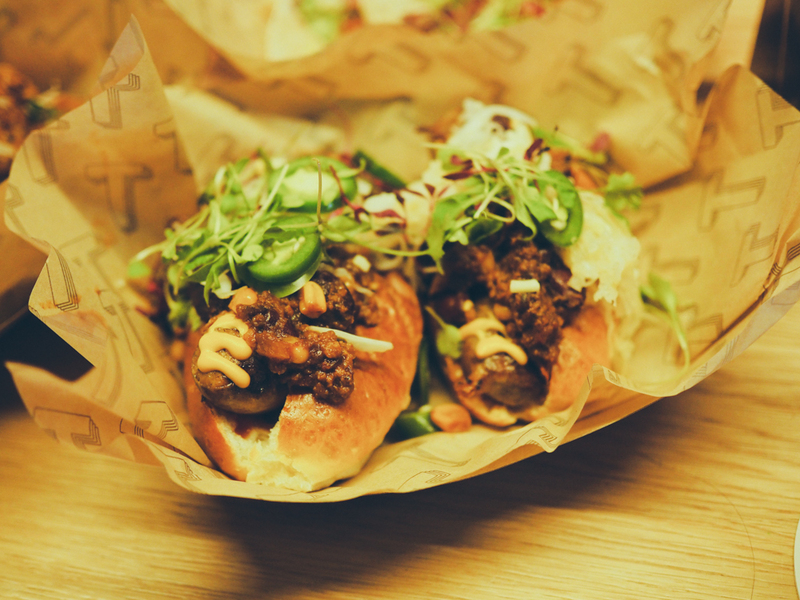 We ordered the 'chihuahua dogs' which came with a sausage topped with tasty braised beef shortrib chili, cheddar slaw and fiery jalapeños encased in a decent hot dog bun. 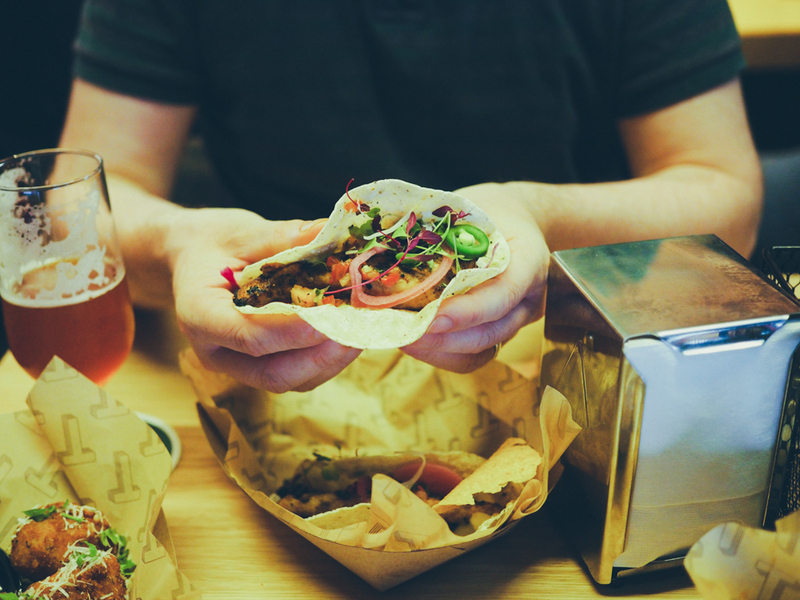 We also shared the 'Quick Juan' chicken tacos with avocado puree, jalapeño cream and pico de gallo. The flavours were good but I might have burnt off some of my taste buds from the Chihuahua dog. 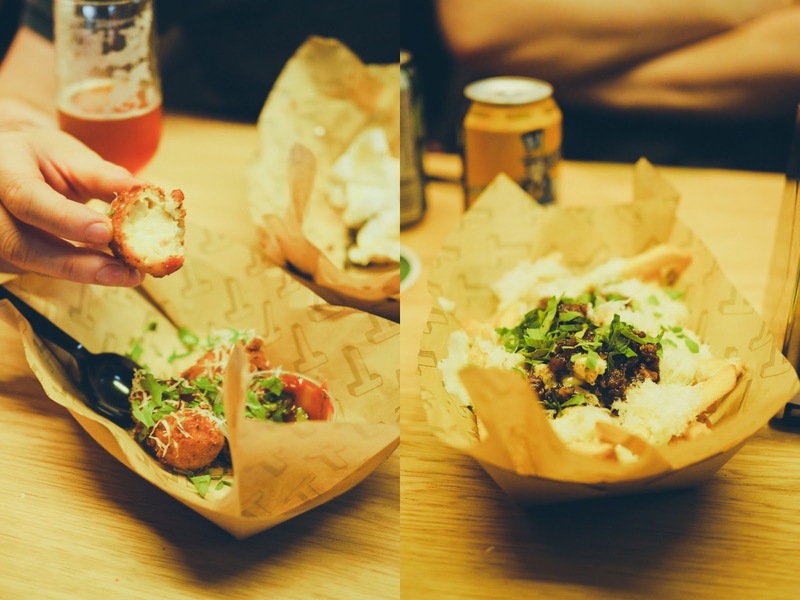 The bacon, truffle mac and cheese nugs (€5.95) were little nuggets of creamy naughtiness in a super crisp batter. It was the perfect comfort food but to be honest I didn't really get the taste of truffle. After ordering three plates of food I had dish envy after seeing food arrive at the table next to us, so we ordered a portion of fries to round off the meal. They came hidden under a cloud of grated parmesan and topped with a flavoursome bacon jam and some fresh parsley. We were looking forward to playing some games, so decided not to order one of their naughty desserts (bacon battered reese's cups, anyone?). All the food and two craft beers each came to a very reasonable €49.80. We then had to queue for a few minutes to buy tokens (€0.50 per token, max 10 tokens per person at a time) before having so much fun playing the different games. 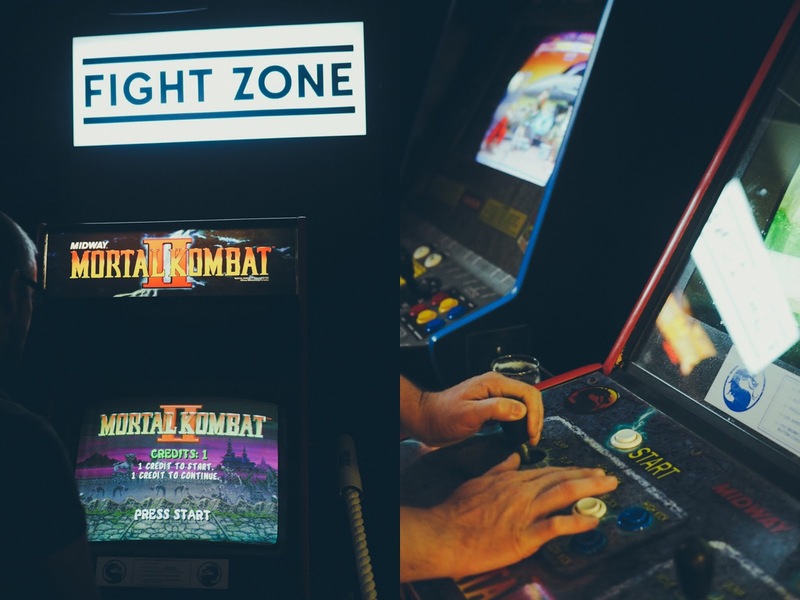 The fight zone was definitely my favourite place with games like Street Fight and Mortal Kombat, and Mr. FFID had a blast playing Point Blank. Sometimes we had to queue for a few minutes for a game to be free, but never very long and there are plenty of games for the size of the place. We had the most fun date night in a while and loved our first visit at Token. We found it reasonably priced, but I suspect they might increase the prices at a later stage. 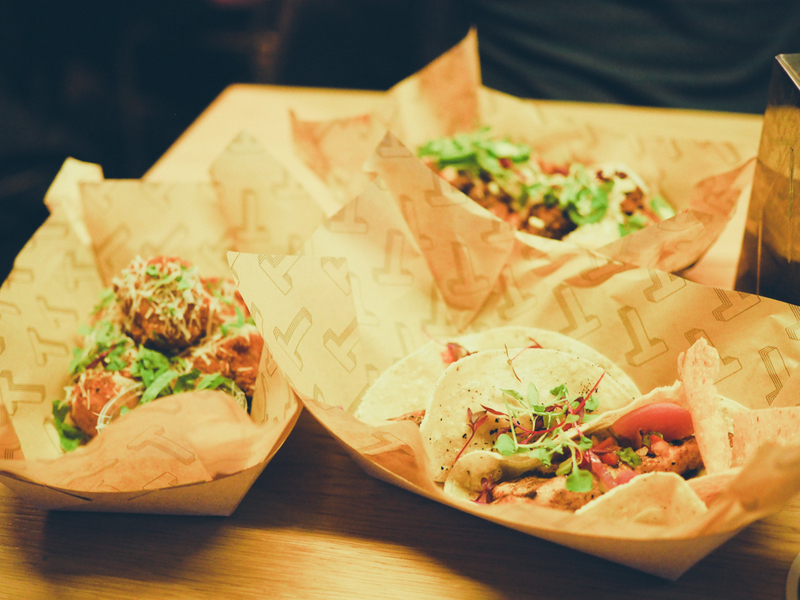 Call it hipster or whatever you like, Token is guaranteed to give any kid of the 90s a big smile and I already can't wait to go back with friends for some more food and fun. Disclaimer: This is an independent review, all food and arcade games were paid for by yours truly.